Triple C Charters: GOLD RUSH!! can be targeted right now and although some change is expected for the weekend, things should stabilize and pick up right where they left off by next week. 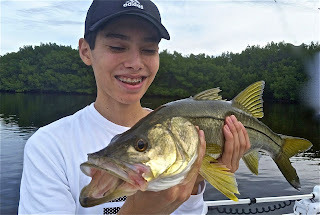 The fish that has stolen the show most days has been the aggressive and hard fighting snook. They are schooling up in their transition areas and feeding heavily in anticipation of the cooler weather ahead. 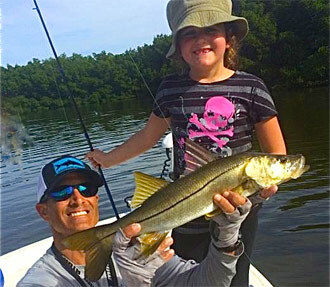 We have had some incredible days of almost nonstop snook action with some anglers even pulling out the flyrod just to make things more challenging. There is still an abundance of sardines in the bay and this has kept the mackerel bite going strong as well. We have been catching some nice sized spotted seatrout that have been moving into the bay and I expect that to continue to improve as we approach the colder months. Also, the redfish bite that has been hit or miss in recent weeks should also continue improve. Colder water means sheepshead too which are a wintertime favorite around here because of their excellent food value. They are starting to show up in good numbers around most barnacle encrusted structures. We use fiddler crabs or a small hook hidden inside a piece of shrimp for these finicky nibblers. Other fun rod benders that regularly join the party include jack crevalle, ladyfish and sharks. As you can see, right now there is a wide variety of species to target with something for everyone to have fun with. So whether you live here or are here on vacation, make sure you take time to enjoy the wonderful resources we have here in Tampa Bay. 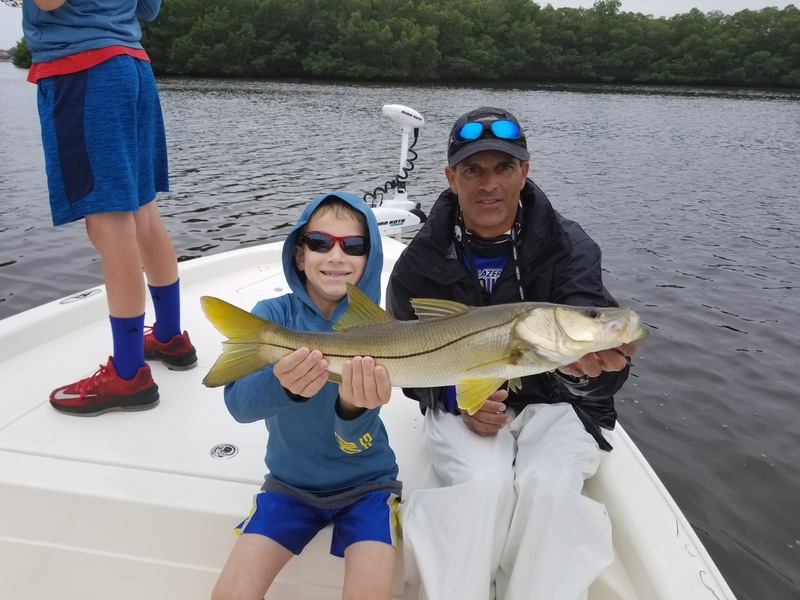 There are plenty of options in our area and getting out on the water is a great way to spend a day with family. I also offer Gift Certificates that make excellent stocking stuffers. Hope to fish with you soon! Tight Lines, Capt Chris (813) 908-6222.